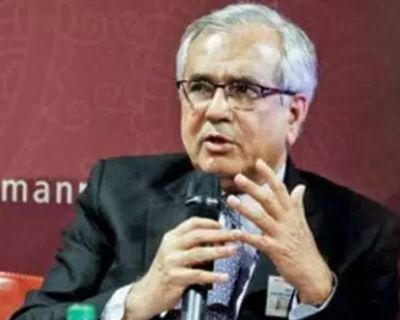 As the government looks for resources to perk up the economy, NITI Aayog vice chairperson Rajiv Kumar tells Indivjal Dhasmana that additional funds could be generated through divestment, and that the fiscal deficit should be widened while focusing on the revenue deficit. 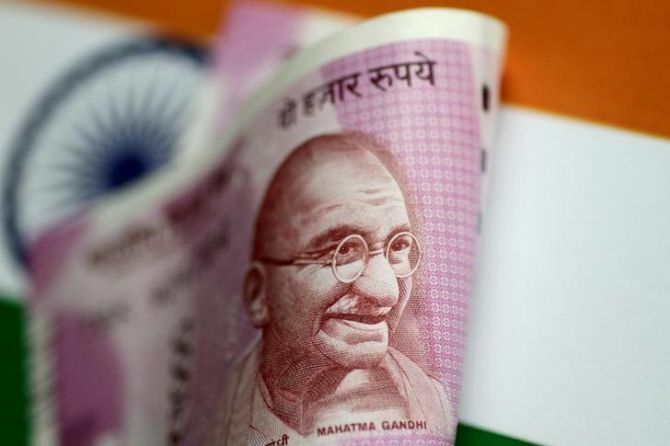 The government is not able to propel the economy as its fiscal deficit has already touched 96 per cent of the Budget Estimate in the first five months of the current financial year. Do you think this is a fair assessment? No, I don’t think so, as government expenditure includes large allocations to ministries which remain unspent. You always have the first two quarters when revenues are much smaller than expenditure. This is more so because of advancement of the Budget this year, which has done away with the practice of starting allocations from June. At least 27 per cent of the expenditure was in the first quarter this time, against the usual 15 per cent, and the big chunk of revenues will come later. So, this scare which has been caused by the fiscal deficit numbers is quite wrong. Is it possible for the Centre to stimulate the economy by sticking to the targeted fiscal deficit or should the latter be widened to provide room for a stimulus? Resource mobilisation could still be made by divestment, on which the NITI Aayog has given a long list, of which 17 have been approved. That could be an additional revenue measure. Second, my stand always has been that the government should reduce the revenue deficit, not the fiscal deficit. Anyway, the N K Singh committee has recognised that there could be a 0.5-percentage point escape route during structural reforms. The government must have instruments to counter cyclical situations. Will the government be able to surpass the target of Rs 72,500 crore it set for divestment, including those from strategic ones, this financial year? I think so. You’ve already got over Rs 20,000 crore from divestment. Two quarters are still left. A number of companies are in the pipeline, including Air India. Do you expect Air India’s privatisation this financial year? The NITI Aayog in its action plan has said underemployment is a bigger problem than economic growth. If so, what should the government do for job creation? The focus has to be on promoting employment-sensitive sectors. The NITI Aayog has set up a task force on employment and export. What we have found in our first couple of meetings is that there is much more policy focus on this direction. Second, there could be a great boost to the low-cost housing sector. The government is already committed to this. The third would be to look at the National Apprenticeship Promotion Scheme again, to make it more attractive to the rivate sector. Fourth, the government should take large investment projects on an EPC (engineering, procurement, construction) basis, to crowd in private investments. Is automation coming in the way of job creation and Make in India? I don’t like this trade-off. Automation is required to make Indian firms globally competitive. Automation in one industry always makes available job opportunities in others. When (late prime minister) Rajiv Gandhi brought in computers and laptops in the late 1980s, this (alleged) trade-off was cited. Your expectations from the Reserve Bank’s monetary policy review, with inflation within the stipulated range and economic growth dwindling? My wish would be that it would reduce the rates but I expect it would hold these and take a softer policy stance, going forward. There is a difference between my wish and my expectation. I think the RBI will hold the rates because it believes food prices are on a rise, petroleum prices, too, and developed economies might tighten their monetary stance. It does not want outflow of capital. However, I wish it would cut the rates because I think petroleum prices will not rise any further, the monsoon is over and so we will see food inflation declining, and lower interest rates would help weaken the rupee, always a good thing for India. With the current account deficit rising at a steep clip, we can arrest it by weakening the rupee. Those are my arguments for lowering rates. But, there is the other side, too, on which the central bank will base its arguments for holding on to the rates. The monsoon is below normal this year. Will that affect food prices? Only four regions had deficient rains, including Vidarbha, parts of Punjab and Haryana. The rest of the country had a normal monsoon. I don’t think that would raise food inflation. You have said the government should allow foreign direct investment in multi-brand retailing. I have always said that. I will continue to maintain that. http://www.rediff.com/business/interview/the-gig-economy-is-going-to-be-the-future/20170620.htmWill that not be a difficult political call for a BJP government? I don’t think so. In any case, that is the existing law and now the states should charge up, as that will create good quality jobs that are needed and modernise the retail sector. Demonetisation and the Goods and Services Tax (GST) are two disruptions that have taken a toll on economic growth. I don’t think these are disruptions. These are remarkable structural reforms. These will have a very positive impact on the economy. How long will their (adverse) impact last? But, August GST collections had slightly dipped, compared to those in July. In any other country, the collections in August would have been called stable -- Rs 90,669 crore (Rs 906.69 billion) against Rs 94,063 crore (Rs 940.63 billion) in July. You have been calling for privatisation of banks. But, public sector banks were lauded for providing a cushion to the economy when the global financial crisis had a ripple impact on India. By retaining 49 per cent of equity, that particular feature would remain with the government. A senior politician has taken on this government, saying 5.7 per cent economic growth in the first quarter of this financial year means only 3.7 per cent in the older GDP series. Do you agree? I can’t say this unless the ministry of statistics comes out with back-series GDP figures. There is (currently) no basis for this (criticism). I really can’t comment on this.